As someone who eats out a fair amount in this fine city of ours, a worrying omission from this blog would have to be Chinatown. 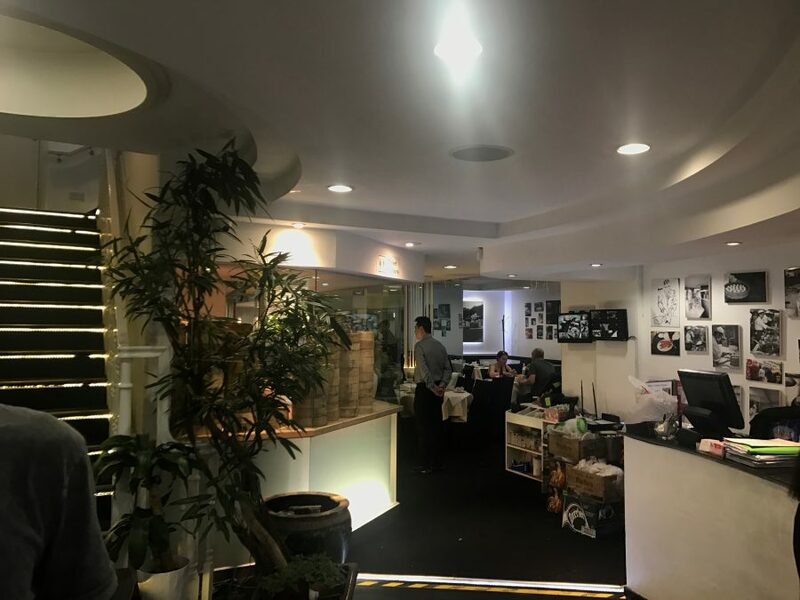 Finding myself in Soho on a Sunday evening I decide to rectify this and head for Dumplings’ Legend, hailed as London’s best Chinese soup dumplings by the Evening Standard in 2015. The menu is so long it could have been written by J. R. R. Tolkien. 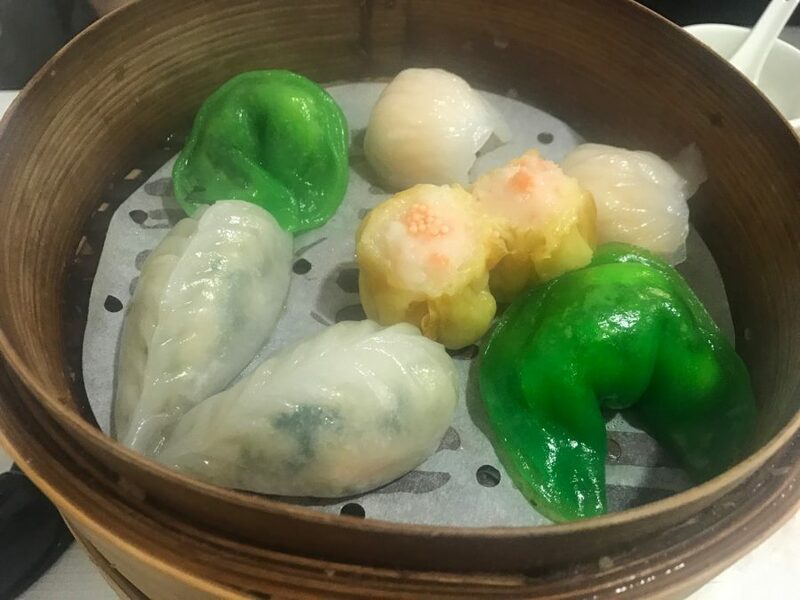 We stick to just the evening’s selection of dim sum which is limited seeing as dim sum is a lunch thing, which I’d stupidly forgotten. The platter (£12) arrives in a plume of steam – each piece is soft and sticky. It’s comfort food. We ask for chilli oil which certainly looks in order but lacks the fiery wallop my endorphins desire. 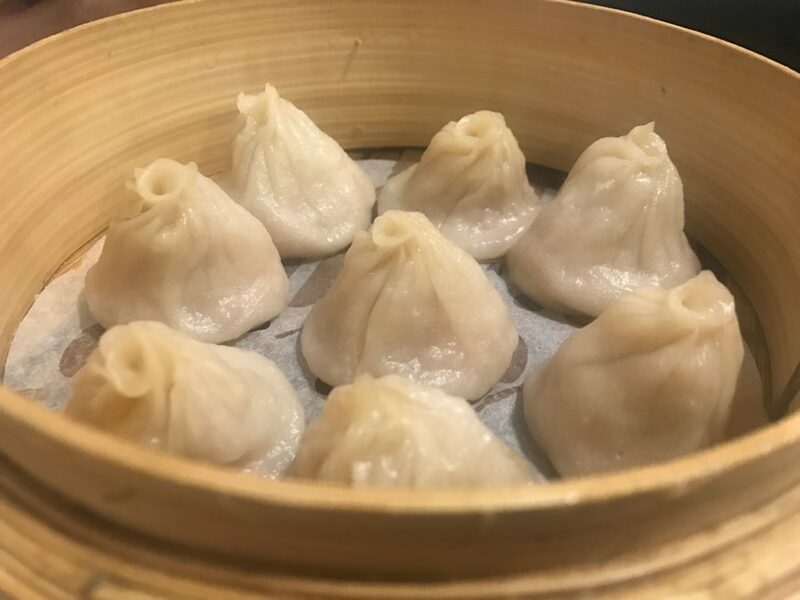 Classic pork siu long bao (£7.50) are hot and soupy (these are the dim sum that cleverly burst to reveal molton hot soup). The little nuggets of minced pork inside add texture. 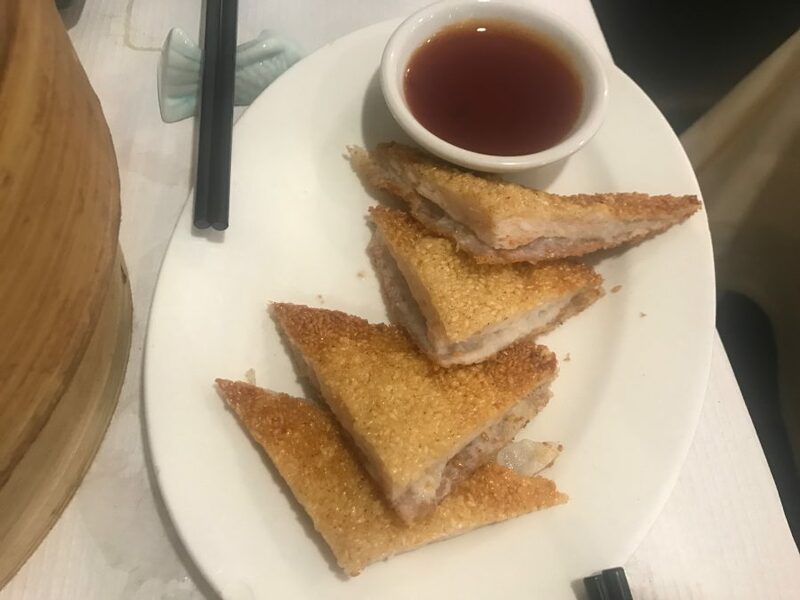 Sesame prawn toast (£5.50) is greasy and therefore heavenly. I love those little crispy sesame seeds. They’re generous with the prawn too. 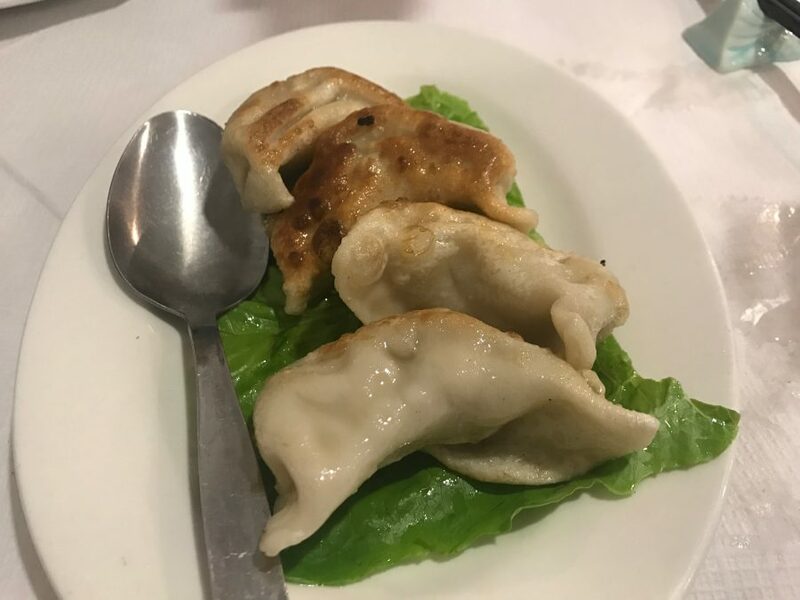 Grilled pork dumplings (£6) are nice but I couldn’t say much more than that. In fact, they’re a bit stodgy considering they’ve been grilled. 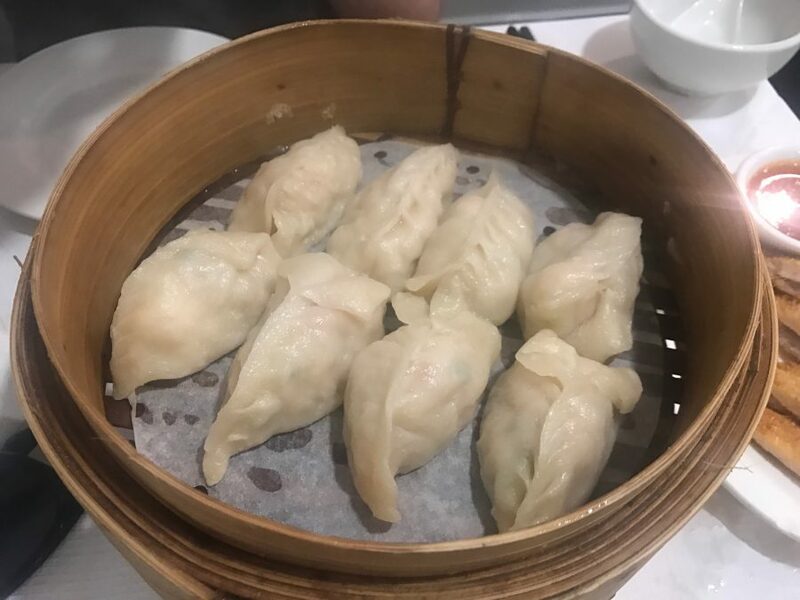 Steamed prawn dumplings (£8.50) are better mainly because there’s plenty of prawn in each. I wouldn’t write home about them mind you. You get 15% off the bill if you pay by cash which seems a little odd. We do though. It’s cheap. It was OK. 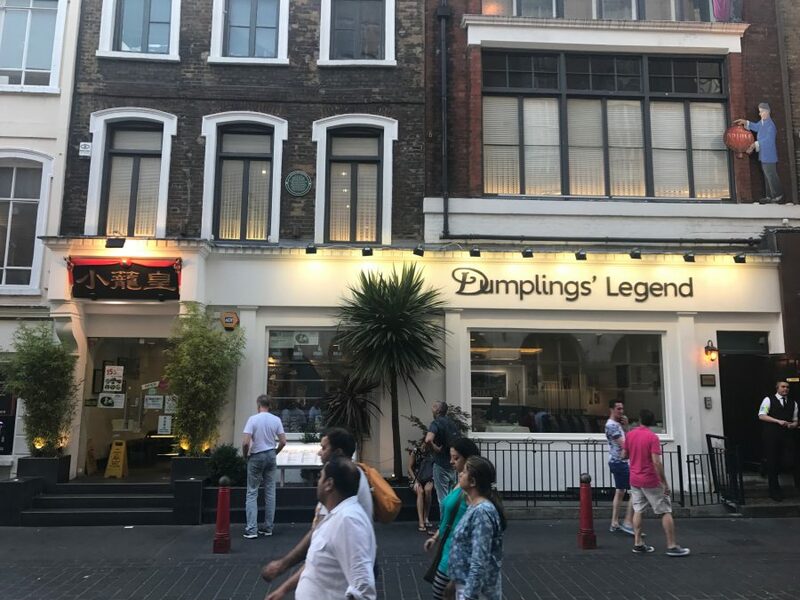 But while my new aim is to populate this blog with more dim sum, Dumplings’ Legend wouldn’t score particularly highly on the list. Would we go back? No.